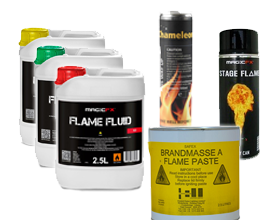 We stock a full range of confetti, streamers, smoke and bubble fluids and other consumables including our very special flame paste . 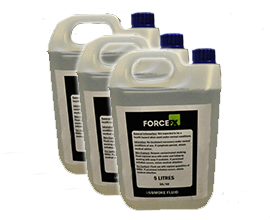 Our SFX Consumables are for use with our own hire equipment, or to buy separately and are compatible with most manufacturers products. For orders placed before 15:00 hours Monday to Friday we offer same day dispatch and Nationwide Overnight Delivery on most stock items. We can also arrange same day courier delivery and direct delivery from our suppliers for larger orders. We are available by phone and email from 6:00am to 10:00pm 7 days a week and always have a duty technician on call to help and advise. 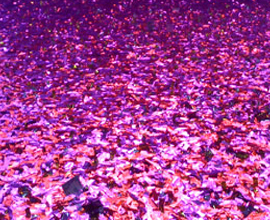 Flame Retardant slow-fall paper confetti available in many designs & colours from 17x55mm rectangles to 55mm rose petals, stars & more! 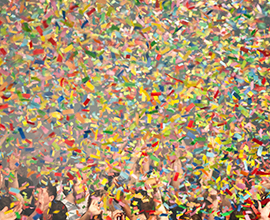 Slow-fall Metallic or Glitter Confetti, is made from mylar, is flame retardant, colour-fast and non conductive. 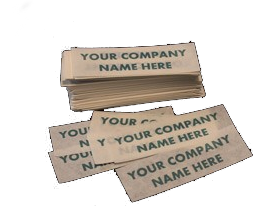 Our Confetti Your Design, we can print on to 55x17mm rectangular paper, 55mm Circles & bank note sized Confetti. 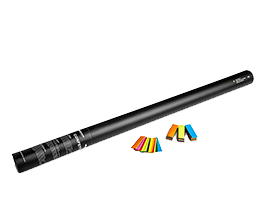 Single Twist Handheld Confetti Cannons big effect for small events with no hire equipment needed. 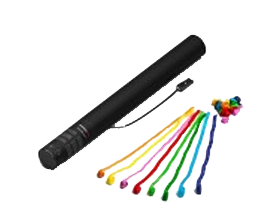 Professional Electric Confetti Cannons in a variety of sizes filled with paper or metallic confetti & streamers. 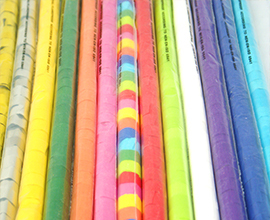 We supply Paper Streamers in 5M x 0.85CM, 10M x 1.5CM, 10M x 2.5CM, 10M x 5CM, 20M x 2.5CM and 20M x 5CM. 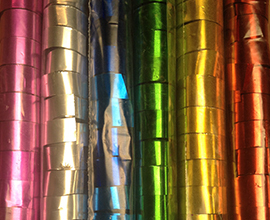 We supply Metallic Streamers in 5M x 0.85CM, 10M x 1.5CM, 10M x 2.5CM, 10M x 5CM, 20M x 2.5CM and 20M x 5CM. Le Maitre Cannon cups, caps & CO2 Bulbs. 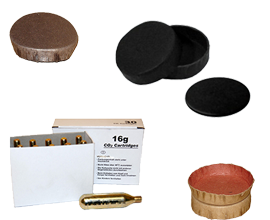 MagicFX product lift cups & caps in various sizes including new powder cores! 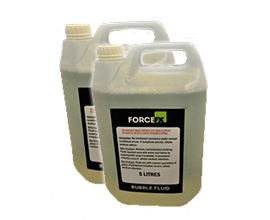 We stock a range of top quality fluids which are designed to work with all makes of Smoke & Haze Machines. 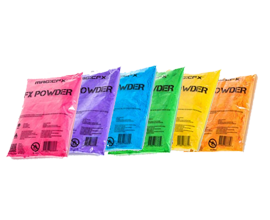 MagicFX Powder loose for throwing or filling into any MagicFX Confetti Cannon with Powdercores or for use with ForceFX Powder Guns.